Sebastian Vettel's racey nature - might it cost him the title? 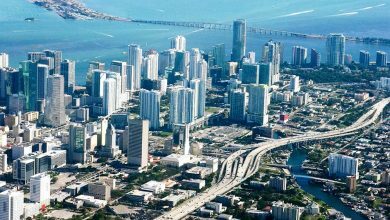 Home/Features/Sebastian Vettel’s racey nature – might it cost him the title? Sebastian Vettel’s racey nature – might it cost him the title? Austrian Grand Prix – Ferrari’s Sebastian Vettel heads to Austria on the back foot in the championship again, thanks to another mistake in France. Fractions of a second after the red lights went out at the start of the race at Paul Ricard, Sebastian Vettel knew he had the jump on the two Mercedes cars ahead of him. 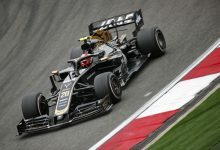 The UltraSoft Pirellis dug hard into the tarmac and launched the Ferrari forward, much quicker than either Valtteri Bottas or polesitter Lewis Hamilton. 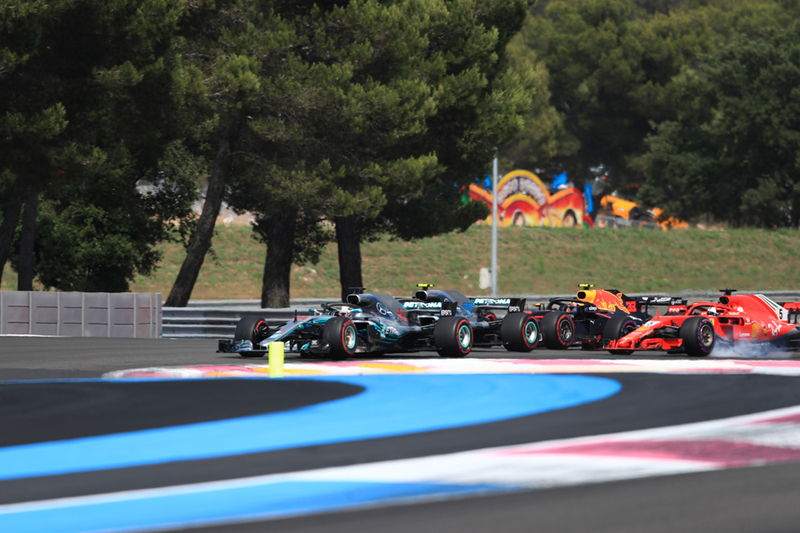 Vettel held on tight, used the momentum to barrel alongside Bottas and attempted to bully his way into some room alongside Hamilton for the run to Turn 1. Bottas, spotting Vettel’s tactic, refused to be intimidated and holds his ground while Hamilton, frantically scanning his mirrors to see whether his main rival had gotten what he wanted, hesitated on the throttle as he saw the opportunity to box Vettel in and baulk his progress. It worked to perfection, as Bottas swooped back around the outside of the left hand Turn 1 and back into P2. Vettel, his perfect start gone to waste, hit the brakes and prepared to settle into P3 and to fight another day. But the car just won’t stop. Fat with fuel, tyres & brakes not at racing temperature, disturbed air washing over the front wing of the Ferrari – Sebastian ploughed into the Merc and handed the race on a plate to Hamilton. 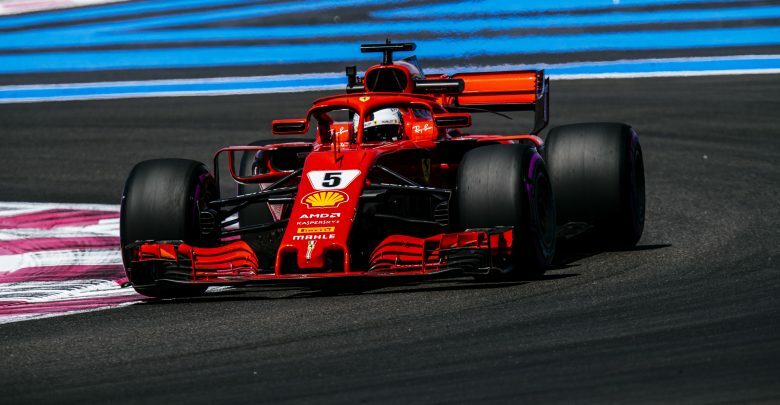 Vettel drove a good recovery race from there, taking just 15 laps to resume the P5 position he would eventually finish in, but absolutely destroyed his tyres in the process. 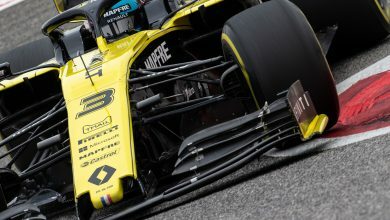 Such is the level of advantage of the top three teams over everyone else, he finished 18 seconds clear of Kevin Magnussen; this was despite making an extra pitstop, Magnussen running the same engine, and with the Haas running high in the points when the Safety Car withdrew on Lap 4. Vettel, luckily for him, had a get out of jail card handed to him when Valtteri Bottas rolled the dice to stop for fresh tyres in the closing stages and had a slow stop due to a recalcitrant rear jack. Had that not happened, he likely would have snatched P5 from the Ferrari by race end. Vettel’s recovery drive was, therefore, good – but not amazing. 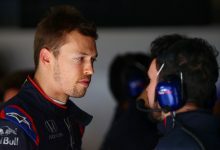 His willingness to admit his mistake is, of course, commendable, but it was another mistake that cost him points – something Ferrari and Vettel are proving very good at this year. P3 went abegging on Sunday, possibly more. Sebastian’s willingness to put it on the line for single race results is admirable, usually. Such is his desire to win, he seems to be losing sight of the bigger picture that is his World Championship challenge. Ferrari & Mercedes are extremely closely matched so far this year, with the edge perhaps in Mercedes favour. When Lewis & Mercedes are on form, they dominate to a greater extent than Vettel has on Ferrari’s good days. It’s necessary for Ferrari to bank every point they can and perhaps it’s the knowledge that Mercedes have out-developed them over the season in recent years that there’s more than an air of desperation to their challenge. Vettel’s late lunge on Valtteri Bottas at the very end of the Azerbaijan GP was another example. Rather than bide his time and go for a less risky overtake, Sebastian threw it all down when the Safety Car withdrew and locked up badly. With cars all bunched up behind him, he lost positions and more points, having looked nailed down for a win earlier in the race. Singapore 2017, the race many Ferrari fans pretend never existed, went a long way towards destroying Vettel’s title bid last year and it was, solely, his fault. Think back to when Hamilton last made an error that scuppered a race for himself – Hungary 2015 or Spain 2016, depending on your point of view of who was more to blame for the intra-Mercedes clash. By contrast, Mercedes look serene. Holding off their engine upgrades in Canada due to worries about the new package, Valtteri Bottas still was able to harass Vettel for the entire race despite his ancient engine racing Vettel’s brand new upgrades. France saw the return of Mercedes’ favoured lesser-treaded Pirelli compounds and they duly delivered on the form that was expected of them. Hamilton finished his 33rd straight race in a row, about to take the overall record for most consecutive finishes and did so with another win. It was a measured, controlled win. With Vettel out of the way and Red Bull lacking outright pace, Hamilton was able to win with ease. Hamilton’s calm consistency is paying dividends. 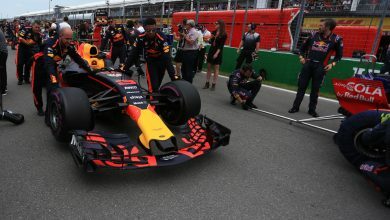 There was no desperate lunge when he was cooped up behind Daniel Ricciardo in Canada, no shenanigans with Vettel during the second half of the Australian Grand Prix, and all he had to do was hang back and let Azerbaijan fall into his lap. Hamilton is banking the points, even on his off days. Vettel, by contrast, is throwing them away, even on his good days. Onwards to Austria, and the chance for Vettel to rectify the situation. 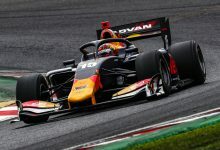 Ferrari’s power unit upgrades have turned their car into a monster on the straights – they were consistently up at the top of the speed trap figures in both Canada & France. The Red Bull Ring is fast, traditionally, with three lengthy straights and hard traction zones – both playing to Ferrari’s strengths. 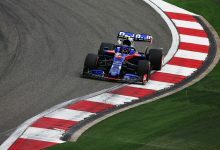 Three DRS zones make the circuit even faster this year; the lap record of 1:07.411 by Lewis Hamilton last year is almost certain to be decimated. The third sector is full of fast sweeps, arguably more the Mercedes & Red Bull’s forte. With such a short lap, the gaps are going to be tiny and this will make qualifying critical for both teams. This is an area where Kimi Raikkonen has been weak recently, and hasn’t been much use as a rear gunner for Sebastian. 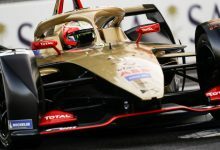 It’s part of the reason why Ferrari are considering promoting from within and, unless Raikkonen reverses the trend, he may have to start looking elsewhere for a gig if he wants to continue in F1. Recent rumours suggest that he does have options, including his former team McLaren, although will Raikkonen want to take a step back to the midfield, at best, for his twilight years? Does Vettel need to be more circumspect to keep his title challenge strong? Let us know your thoughts in the comment section below.